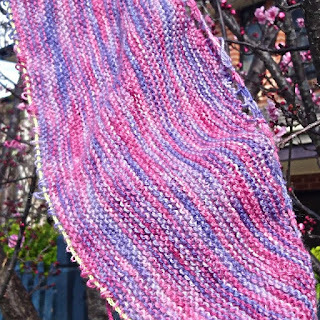 I started knitting up my glorious Hellomello handspun sock yarn into a shawl. 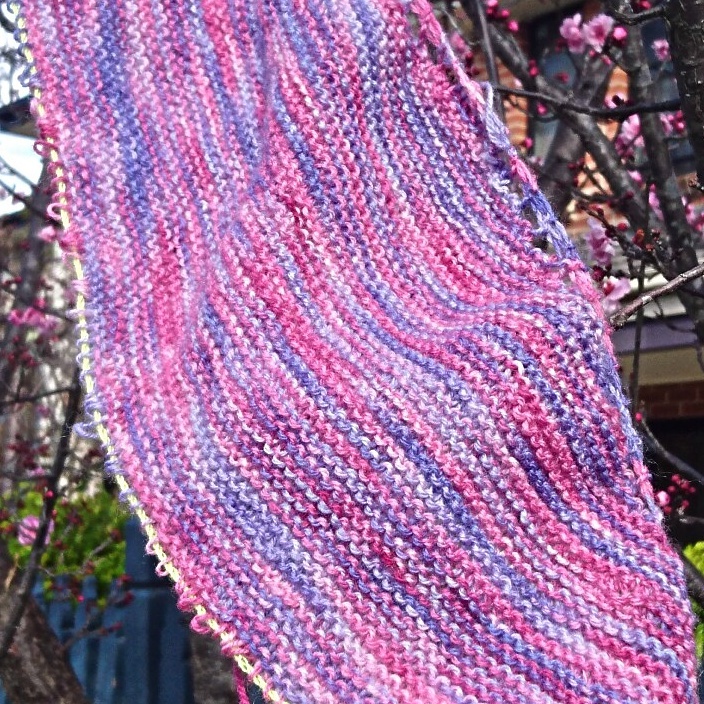 I was so excited about it - the yarn is beautiful to work with, and light as air knitted up. 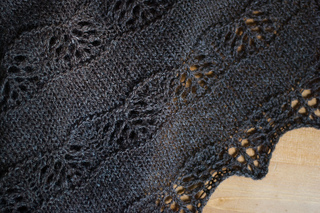 I chose the Shetland lace patterned Midnight in Sydney. Which is a beautiful pattern, and I just love it. 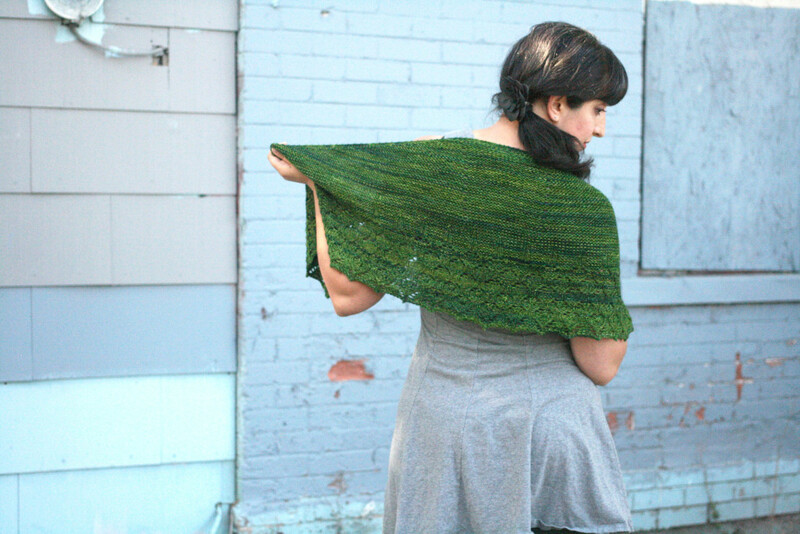 I thought it would be fairly simple, with lots of garter stitch and a *ahem* simple lace pattern on the edge. 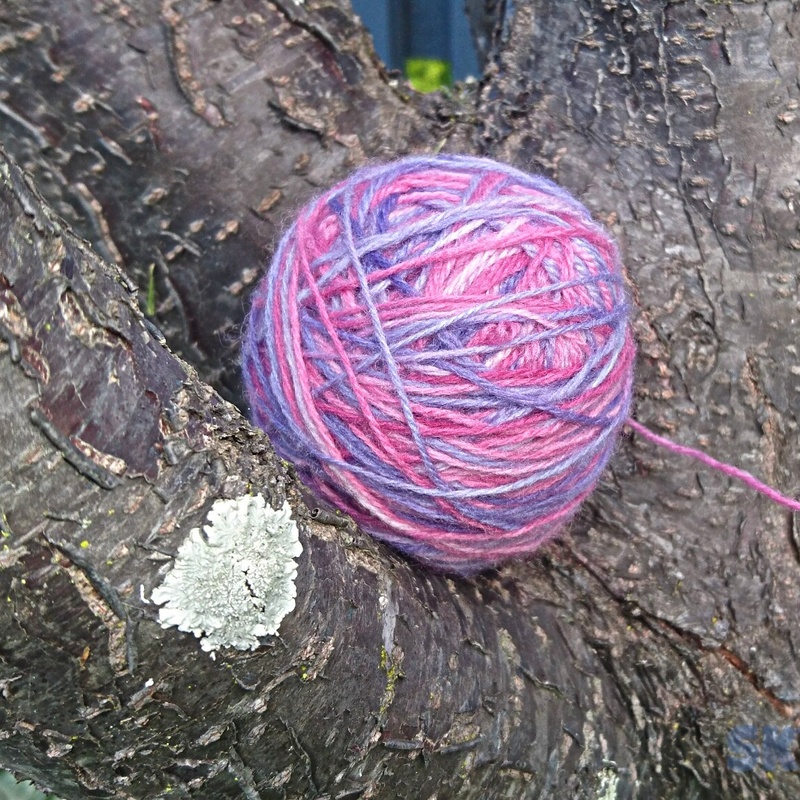 I'm not an advanced knitter, so I thought I'd chosen something I could manage. I still love the pattern, but I don't think I can knit it. I used a safety line at the start of the lace pattern, which was a fantastic idea, because I had to keep ripping my knitting back to it. At least 4 times. I couldn't even get to line 4 of the lace pattern (there are 26) despite repeated efforts. I've decided to give up on the Midnight in Sydney pattern. 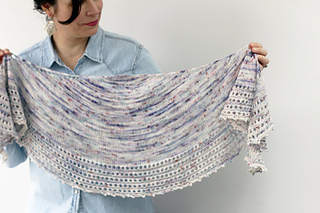 Or whether the lace pattern is just not intuitive for me - I've found in other knits I've done, that there is a rhythm to the pattern that I gradually discover. I know I only got to 4 rows, but the lace pattern was repeated along the row - these rows have lots of stitches!!! 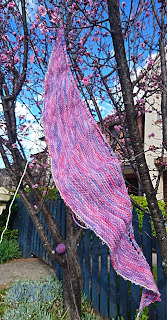 I just couldn't get into the swing of it even though I could see how the lace was evolving. It is highly likely that the issue is my concentration - I couldn't seem to keep track of where I was up to. Anyway, now I am on the hunt for a new shawl pattern. I just can't decide. I'll list some below, and ask you to vote. It's a long shawl, but I could change the stitch count to make it smaller and fit my yarn yardage. Daelin - looks a bit celtic to me...; and I'm wondering if it's *meant* to be in green. 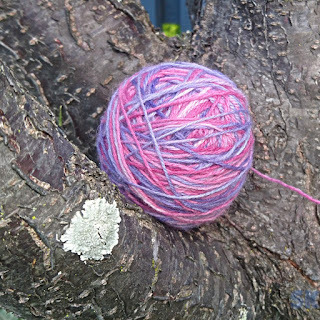 Will it suit my sweet purple / pink yarn? But will it be too tricky? Stocking stitch interspersed with lace. 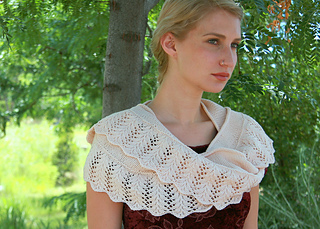 Gorgeous - but would it look better with a heavier yarn weight for a nice wintry shawl? 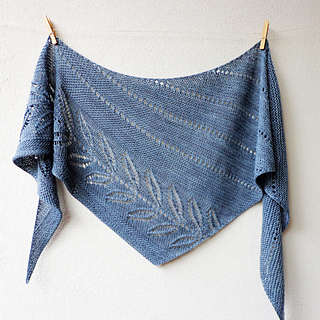 This is cool, because she has a whole set of tutorials to walk you through your first shawl. 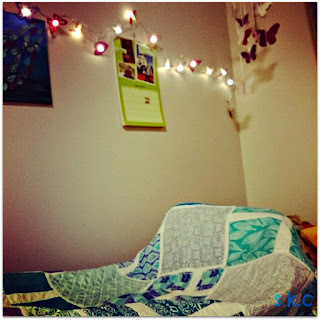 My only issue is that I'm not a huge fan of eyelets - I prefer more of a lace, but those eyelets sure do make a lovely pattern... And my yarn is similar to that one! I have started reading her tutorials, and have learned such a lot already - she also has a great podcast. I really need some help deciding here! Which one would you choose?